Welcome home! Entertainers Dream...Pool, BBQ Island, Covered Tiki Bar & Fire-Pit. Pride of ownership shows throughout this 5 bedroom, 3 bathroom home featuring an open entry floor plan with vaulted ceilings, living room with marble fireplace, dining room, kitchen cabinets refreshed, granite countertops, breakfast nook, walk-in pantry, spacious family room & 3 car garage. Master bedroom has walk-in closet, his/her sinks. 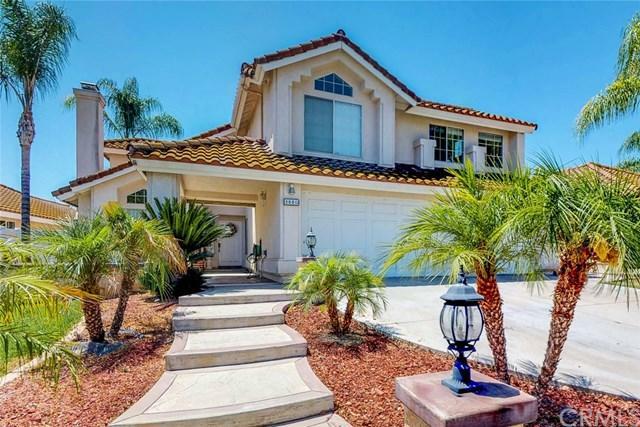 Great quiet home to raise a family within one of the best school districts. NO HOAs!! Did we mention SOLAR? !